As the year winds down, it’s great to understand where you’ve been, enjoy where you are, and see where you’re going. See the “3 end-of-year rituals that are sure to energize your business” after the special announcement. All attendees will receive a free participant guidebook and an autographed copy of my book, Energize Your Business: Engage Your Employees with an Inspiring Strategic Planning Process. Your investment is only $25 (all proceeds go to the Greater Phoenix SCORE to support their many services for business owners). Are you planning a family vacation to Disneyland this summer? If so, notice how they attend to the details of what makes you happy. Disney understands what you, the customer, wants before you do. 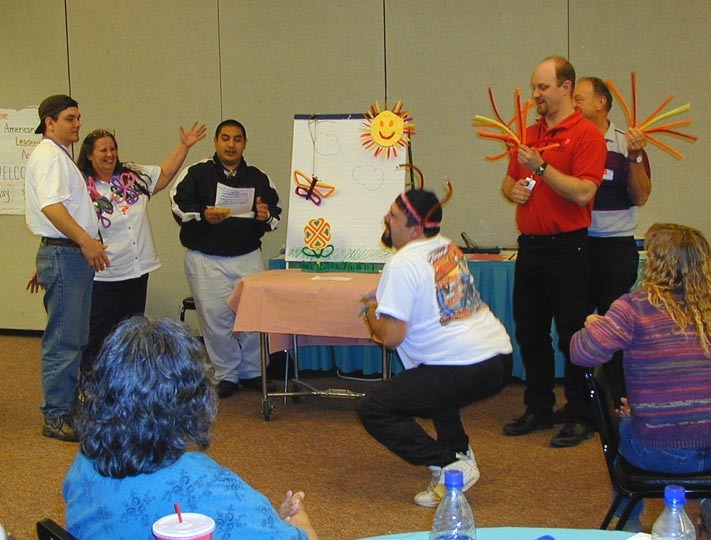 Several years ago I attended a Disney seminar for leaders and was amazed at their organization’s attention to their customer’s needs and desires. They minimize distractions and expedite check in at their hotels because they know your family’s nerves are frazzled from the long, exhausting trip to get there. They know the last thing you need is more stimulation at that moment. You won’t find an outside newspaper for sale anywhere on their property because they know you have come there to escape the real world. Every employee knows where the nearest restroom is because they know you have pushed your bladder to its limits and will need to make a mad dash to get there in time. Trash receptacles are placed no more than 30 steps apart because they know just how long you are willing to hold onto your trash before dropping it. Lines at each attraction twist and turn with their own suspenseful entertainment as you wait with anticipation so that you don’t mind very much how long it’s taking. Disney employees are called “Cast Members” to remind them that when they enter the property “It’s show time!” and your family is their most important audience. Celebrate Valentine’s Day in the Workplace-It’s All About Love! What does love and Valentine’s Day have to do with business? In a nutshell, everything! Customers and employees who feel loved are more loyal to your company. Employees who love their bosses and their jobs perform better. Customers and employees who feel loved share their experiences with others. What if this is true: “It’s all about love!”? Simply put: Love aspires. Love inspires. Love grows. Let’s look at two extraordinary companies, both of which were launched in 1971—more than 45 years ago—operating with love as an essential core value. Have you ever enjoyed a burger and a beer at a Hard Rock Café? Did you know that the company was founded by two hippies who chose love, peace, and rock-‘n-roll as their mantra? Isaac Tigrett and Peter Morton were two shaggy-haired Americans who just wanted to find a good American burger while living in London. They built their first café on London’s Hyde Park corner as the first “classless” restaurant in the class-laden English society. Today there are more than 175 Hard Rock locations, which include restaurants, hotels, casinos, and live music venues in 55 countries. 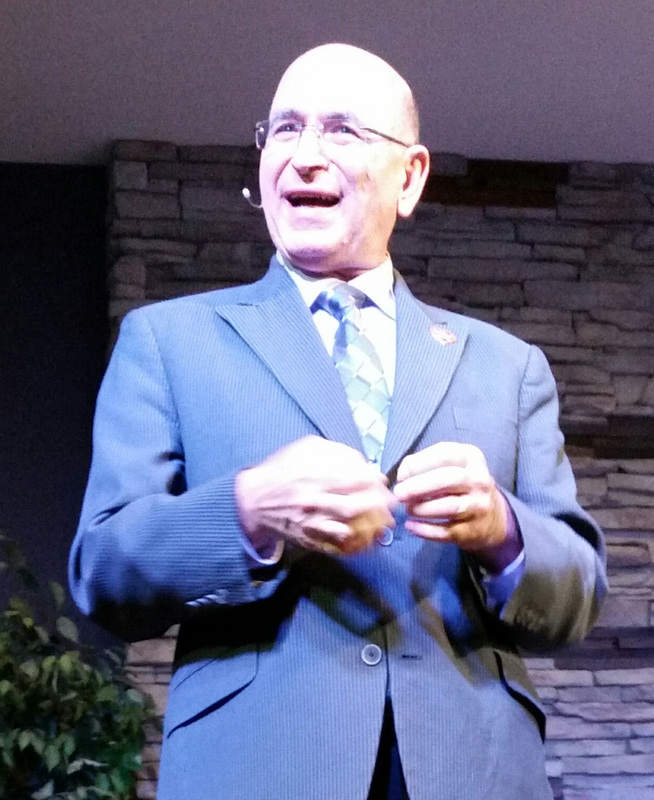 Emblazoned on the wall of every property is, “Love All, Serve All.” It is the life—and business—success principle that Tigrett borrowed from his guru in India. Southwest Airlines is another company that fearlessly embraces love (“LUV”) as a fundamental principle. http://businessenergizers.net/wp-content/uploads/2017/05/business_energizers_340×156.png 0 0 Ray Madaghiele http://businessenergizers.net/wp-content/uploads/2017/05/business_energizers_340×156.png Ray Madaghiele2017-02-02 22:49:402017-08-03 20:56:26Celebrate Valentine's Day in the Workplace-It's All About Love! 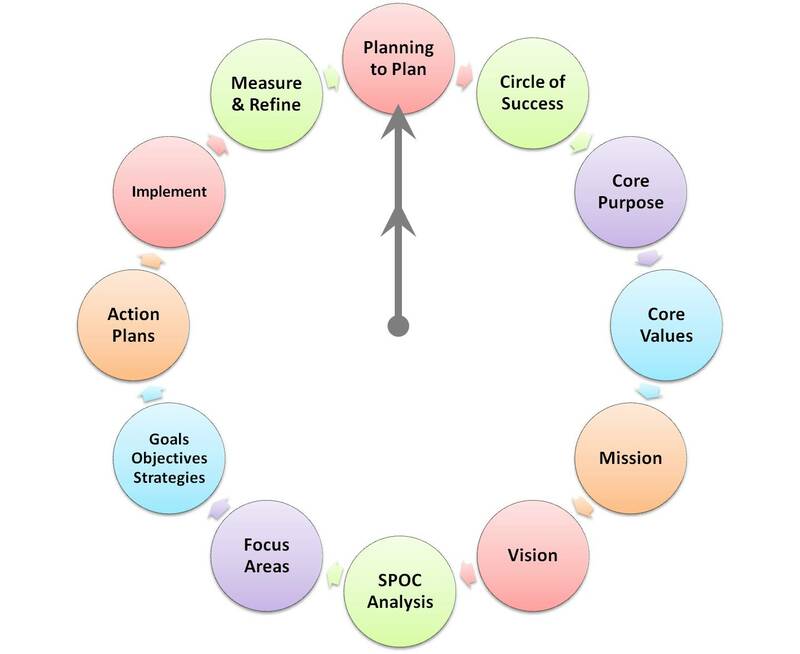 A strategic plan is both the roadmap and the compass for your organization. When your plan is done well, it enables you to get clear, get organized, get going, and get results as quickly as possible—so you can get on with operating your day-to-day business. What I love about a well-done strategic planning process is that it accomplishes collaboration and cooperation throughout your organization. Having everyone participate in the process naturally creates enthusiastic buy-in and support all the way from the top tier of the organization to the frontline. With 2016 nearly wrapped up, I hope that you are taking a deep, contemplative breath and a little time for personal reflection. Every year we weave a unique tapestry of adventures we have experienced, successes we have accomplished, and setbacks we have suffered. Part of my ritual this time of year is to list these significant events that have occurred in my life, both personally and professionally, so I can fully view and appreciate the tapestry I co-created. It includes projects completed, activities enjoyed, problems faced, milestones reached, unforeseen circumstances overcome, etc. Some within my control, some not. What I have grown to know is that each experience was necessary to bring me to the present moment. Whatever our past year’s tapestry looks like, the beauty of the dawn of a New Year, is that we get to envision a new tapestry. It is time to begin selecting some of the threads and colors, and identifying the themes we desire. Our greatest opportunity for 2017 is to apply our talents, skills and abilities more fully to make the finest tapestry possible. Personal goal setting and strategic planning are creative tools that enable us to design our personal and professional tapestry. I hope that you have had both a fun and productive Summer and haven’t been too distracted by the election shenanigans. This past weekend, my wife, Lyn, and I enjoyed the last farmers market of the season for Payson, AZ. It reminded me of the cycle of reaping a bountiful Fall harvest from a garden. Consider growing your organization as you would grow a garden. 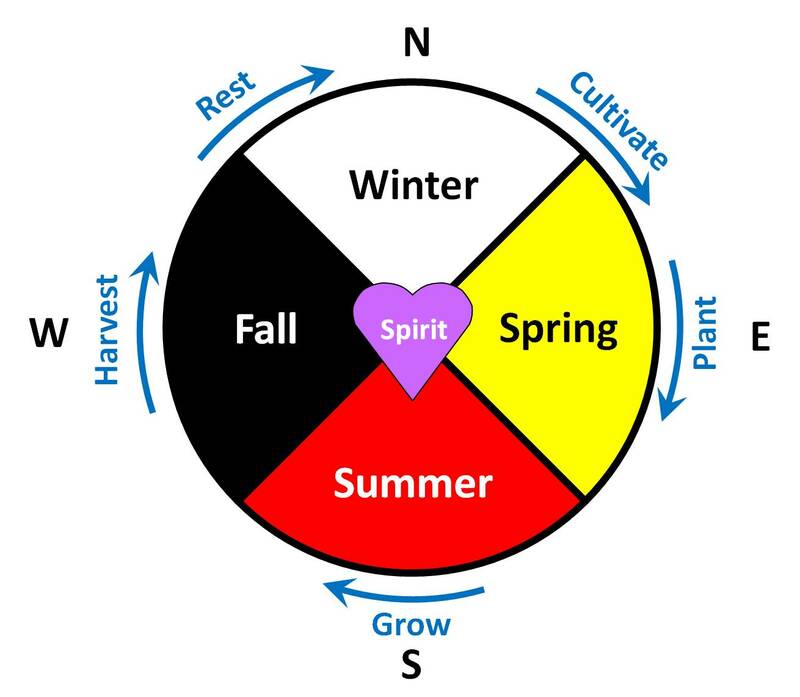 During our strategic planning and leadership training sessions with tribes and their enterprises, a good Hopi friend and business associate of mine, Perci Ami, often shares about the cycle of growth and how it relates to the four directions of the medicine wheel. This circle has proven valuable for understanding the natural order and balance necessary that yields a successful harvest in life as well as in organizations. Every organization is unique like the seeds of different plants. What works for one organization may not work for another. Does your organization have a strategic plan that clearly identifies your unique “seeds of success”? The strategic planning process naturally reveals and cultivates what to focus your precious resources upon so that your organization is aligned with your desired vision for the future. This alignment will result in an organization that will stand the test of time. The process also helps to differentiate the uniqueness of your organization compared to that of your competition. 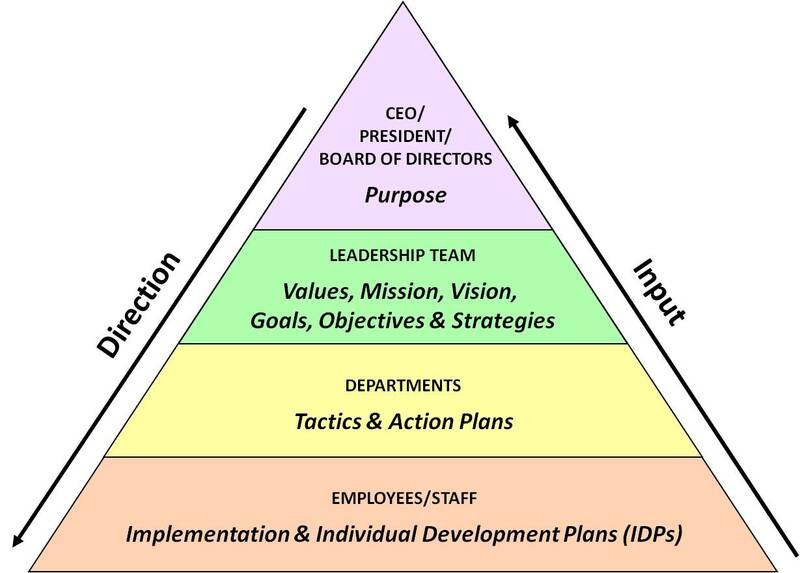 It is a great way to determine or reconfirm the core purpose, core values, mission, vision, goals and action plans for your organization. Successful companies that stand the test of time, even during tough times, are planted in the fertile ground of core purpose and core values. Then they adjust their vision, goals and action plans (similar to molding pliable clay) to the ever-changing external economic and political environment. When asked to facilitate a group meeting, equip yourself with the right tools to energize the participants and accomplish the objectives. Last week I had the honor and pleasure to facilitate an afternoon SCORE workshop for a group of small business owners titled, A Strategic Planning Process that Energizes Your Business. Being directly after lunch, I knew the session needed to crackle with energy or else nap time would soon be upon us. 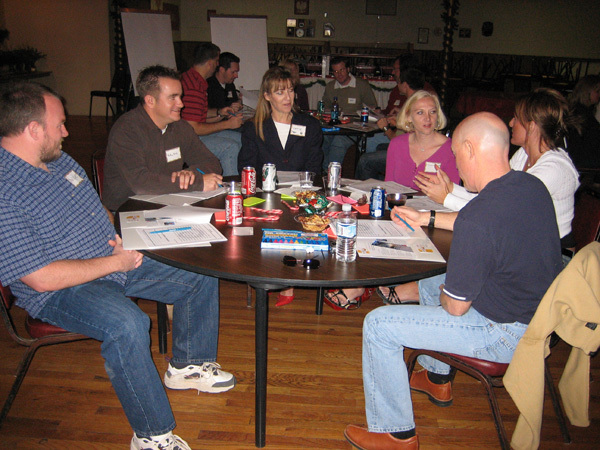 Clear Meeting Objectives– Prior to the facilitation, get together with key leaders and stakeholders to define the objectives of the upcoming meeting. These objectives are your ultimate targets, or goals, to accomplish. Written Agenda– Seems obvious, doesn’t it? You’d be surprised at how many meetings I have attended at which people don’t know why they are there. A written agenda, at the very least, provides a good framework to channel discussions. Sending it out to the participants before the meeting is a bonus. Energize and engage your employees with an inspiring strategic planning process that helps everyone get clear, get organized, get going, and get results. That’s what successful businesses do. 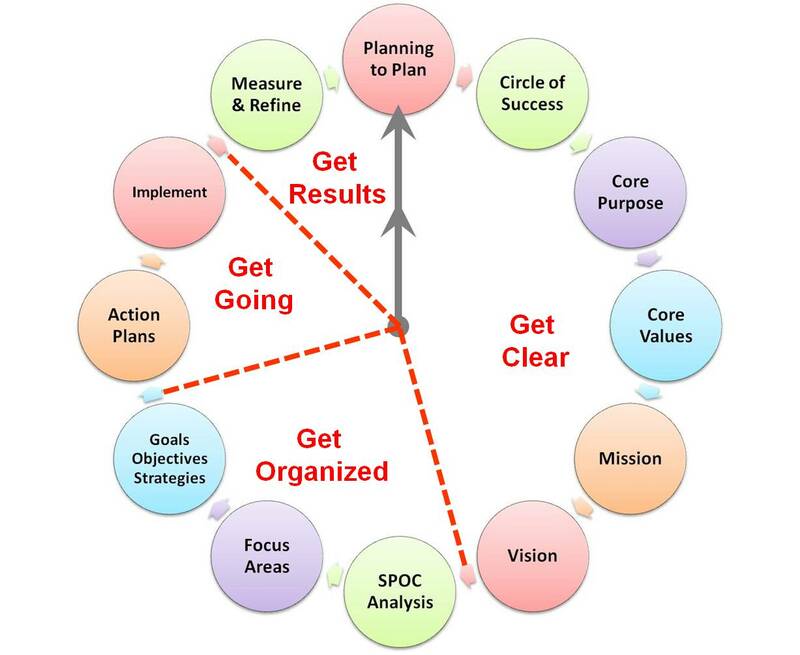 Do Some Soul Searching – Warren Buffet said “In the business world, the rear-view mirror is always clearer than the windshield.” When you reflect on and understand your Strengths, Possible improvements, Opportunities and Challenges (SPOC Analysis) as an organization, you can chart the best course toward your goals and figure out the actions needed to reach your company vision. Chart Your Course – Companies that use strategic planning to set only financial targets are missing out on some of the most rewarding benefits and possibilities. Establish goals that will be inspiring and energizing, not just financial targets to achieve. Involve your employees in the process before you get too far down the path.